This is cured ham made from the meat of the popular, white breed of pigs. 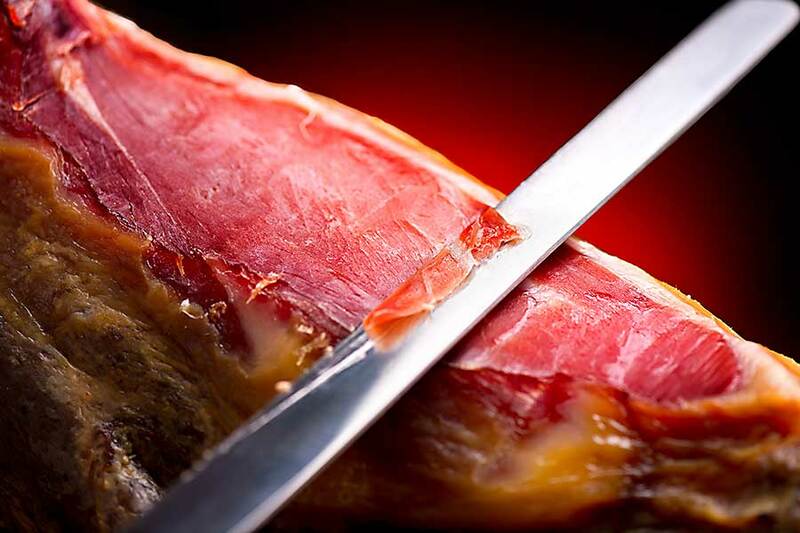 The product name “jamón serrano” determines the way of its traditional production. This applies in particular to the ripening of the leg in the raw, dry climate characteristic for the Iberian Peninsula. This process takes place in mountain conditions, at low temperatures, for a period of at least 9 months. It allows extracting from the taste of meat the maximum of its taste attributes. 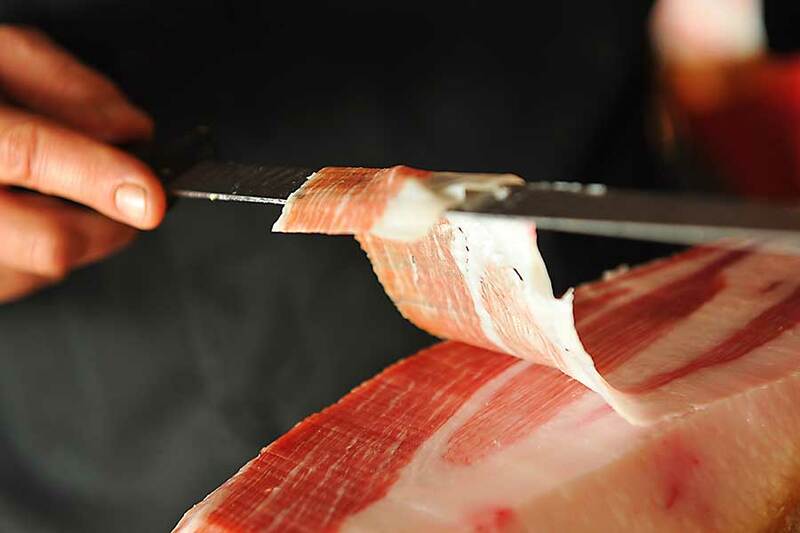 The process of making serrano ham is subject to numerous, very strict rules. The raw leg is coated in several layers of salt. The next stage is his rest in the salt shell for up to 3 months. The salt is washed later. 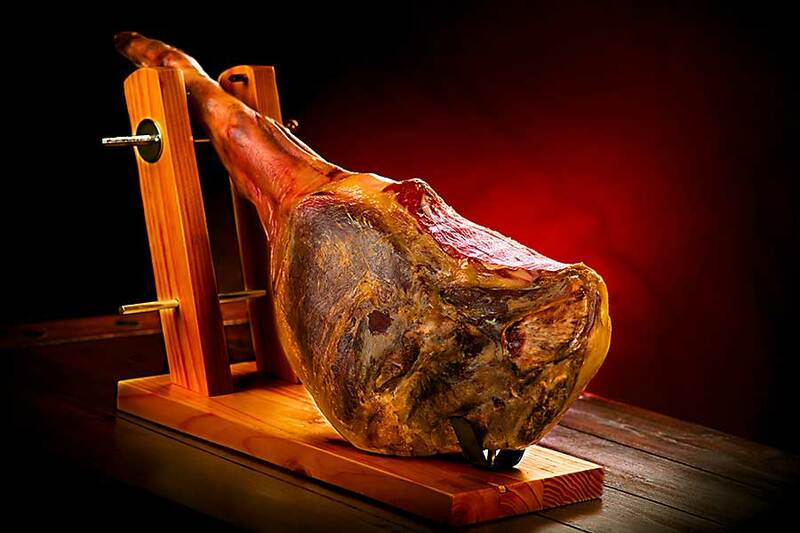 The next process is drying the meat along with its simultaneous maturing for a period of 6 to 9 months. It takes place in characteristic conditions related to variable temperature and high humidity. Later, the aging process is even longer. This is called aging in the basement (Spanish envejecimiento en bodega), with much lower humidity. It’s nothing but the further ripening of the ham, only slower than the previous one. The end result of the complicated ripening process of this meat is not only extremely tasty, but it is also very healthy and nutritious. It contains much less fat than fresh or cooked ham, but it has much more protein. It is distinguished by significant content important for the proper functioning of the human body elements (phosphorus, potassium, iron, zinc) and vitamins (B1, B6). And what is particularly important for many gourmets, this product would keep its best features for a long time without the use of any artificial dyes and flavour enhancers.